A woman falls to her death during the Houston Rodeo. Was it suicide or murder? condition known as the Midnight Disease. When off his meds, Robby turns uncontrollably psychotic. Between frantic calls to goad the police into widening their search for Robby, Giles discovers that LeeAnn had a secret abortion only weeks before her death. More shocking by far is finding LeeAnn’s missing cowboy hat underneath Robby’s bed. Surely he couldn’t be involved in her death? Desperate to prove that her brother isn’t a killer, and convinced that someone in the Houston Rodeo hierarchy was involved in LeeAnn’s death, Giles continues digging. But before she can get at the truth, she is kidnapped, wounded, and left bleeding beside a remote lake crawling with hungry alligators. Someone wants her dead. 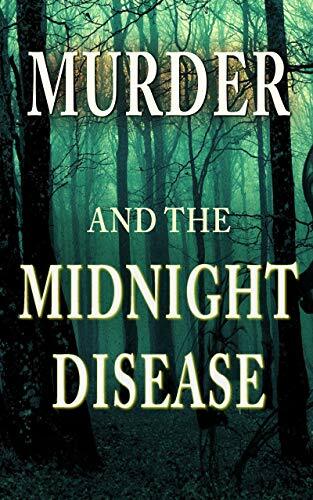 Click here or type in http://geni.us/mtmd into your web browser to pick up your copy of Murder & The Midnight Disease in the Amazon Kindle store. When I was in grade school, my teachers somehow got word that I liked to make up stories. So when the classroom grew restless, the boys shooting spitballs at each other, the girls giggling loudly and passing notes to each other, I was inevitably called to the front of the class, the teacher shouting for the class to settle down. That I was going to tell them a story they had never heard before. Whew! Talk about pressure. So I began and quickly realized that in order to keep the attention of twenty hyper kids, you had to capture their attention with your very first sentence and sprinkle throughout contentious arguments and impossible obstacles for the imaginary characters I was struggling to portray. I didn’t always succeed. But I learned. When I write now, be it a novel or a play or a poem, I remind myself not to fall so much in love with my subject(s) that I ramble on in complete self-indulgence. My current audience is not in grade school, but adults grow impatient too, and within the time it takes to watch a television commercial, readers deserve to know their attention is worth the effort. You can visit Marcia’s Amazon author page if you click here or type in http://geni.us/marcia into your web browser.